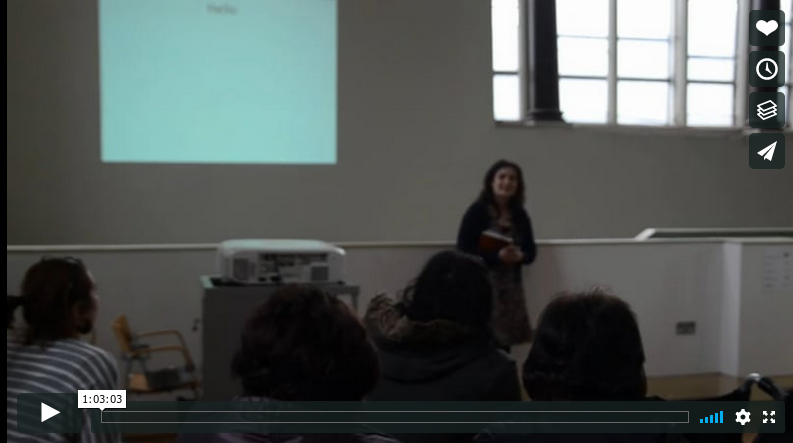 All the images from the exhibition and accompanying video loop are available to view, in sequence, in an online gallery. A number of additional related images are also included in this collection. The video loop describes and animates the image-construction processes, with textual descriptions in the series of blog posts below. 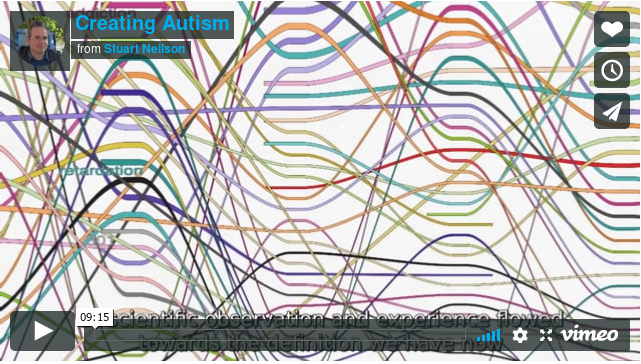 Creating Autism, a video presentation by Stuart Neilson on Vimeo. This voiced and subtitled video loop presents the material on display, with animations of the processes used to create the word diagrams and digital images, and an explanation of my intentions. Stuart Neilson lectures and writes about the autism spectrum as a health statistician and from his personal perspective of an Asperger syndrome diagnosis in 2009, at the age of 45. He was a founder member of the team that developed the innovative Diploma in Autism Studies at University College Cork, Ireland. He has a degree in computer science and a doctorate in mathematical modelling of inherent susceptibility to fatal disease. Stuart Neilson's most recent publications include "Living with Asperger syndrome and Autism in Ireland", "Painted Lorries of Pakistan" and a chapter on sensory issues and social inclusion in the anthology "Knowing Why: Adult-Diagnosed Autistic People on Life and Autism". A PDF brochure of the exhibition. Creating Autism Panel Discussion facilitated by Tom Ryan with Megan Goodale, Katarina Karanika, Stuart Neilson and Danielle Sheehy. Creating Autism: Developing and Expressing our Identities presented by Katarina Karanika and Danielle Sheehy. Katerina Karanika is an Autism Consultant and Psychoeducationalist with highly specified professional experience, studies and research on individuals in the Autism Spectrum. Katerina has taught and devised educational and therapeutic interventions for a large number of children in the Autistic Spectrum. In recent years she has focused on the socio-emotional education of adolescents in the AS and/ or learning difficulties and Emotional Behavioural Difficulties. She collaborates with a number of families and professionals on communication and behavioural issues and provides consultancy and training in Autistic Spectrum specific issues. Danielle Sheehy is an artist who trained as an illustrator at the Glasgow School of art, she then completed her master's in fine art in the College of Fine Art, Sidney. Her work is represented in the collections of the Office of Public Works, Maquarrie University, Microsoft, Bewleys and most recently CIT. As an art teacher she works with autistic children and adults, this includes a project run in conjunction with the Crawford Gallery for adult clients of Aspect, the adult outreach service of the CAA. In 2018 she was the illustrator for "At Home with Dyslexia, A Parent's Guide to Supporting Your Child" published by Little Brown Books, these drawings were exhibited at Crawford College of Art & Design Gallery in the arts in Health and Education Department to celebrate Dyslexia Awareness Week. 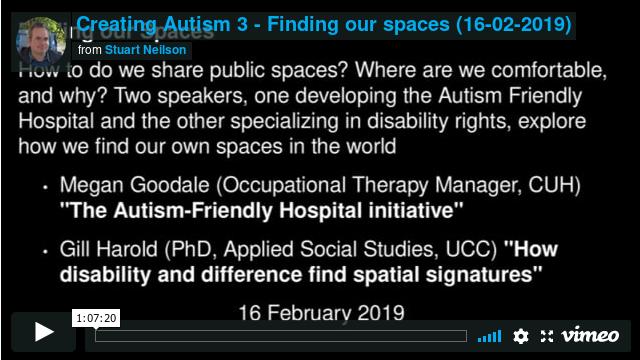 Creating Autism: Finding our Spaces presented by Megan Goodale and Gill Harold. Megan Goodale is the Occupational Therapy Manager in Cork University Hospital. She has specialised in working in Paediatrics since graduation and has worked in a number of areas both here in Ireland and Australia. She has been involved in establishing Occupational Therapy Services in both Autistic Spectrum Disorder Teams and Acute Paediatric Services in Ireland. She is currently the chairperson of the working group for the Autism Friendly Hospital Initiative, in conjunction with AsIAm. Cork University Hospital will become the first the first autism friendly health service in Ireland. Gill Harold is a lecturer in the School of Applied Social Studies at University College Cork. With a background as a social geographer, her research interests centre on social identity and difference, related to questions of active citizenship, rights to the city, urban encounter, community and civic belonging. These interests have been mobilised in Gill's research to date, exploring d/Deaf experiences and the everyday social construction of place. Gill is currently involved in an IHREC- funded project entitled Developing a Deaf Awareness and Accessibility Auditing Template, in partnership with Cork Deaf Association and Kerry Deaf Resource Centre. Interview with PJ Coogan on the Opinion Line, Cork's 96FM, Tuesday 12th February (at 1hr and 18min in). Interview with Mary Wilson on RTE Drivetime, Thursday 7th February. "Cork exhibition puts focus on autism" by Colette Sheridan, 4th February, Echo. This is the opening event for the exhibition. 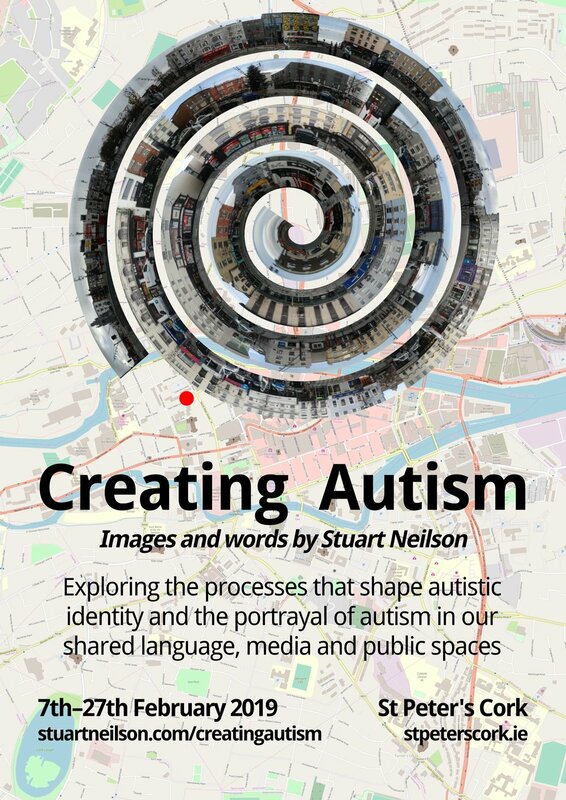 Creating Autism is an exhibition of images and words by Stuart Neilson exploring the processes that shape autistic identity and the portrayal of autism in our shared language, media and public spaces. 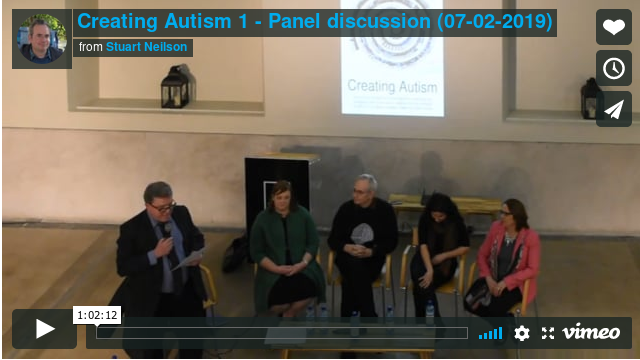 The panel discussion is facilitated by Tom Ryan (Counsellor, Aspect) and features Megan Goodale (Occupational Therapy Manager, CUH), Gill Harold (Applied Social Studies, UCC), Katerina Karanika (Autism Consultant), Danielle Sheehy (Artist) and Stuart Neilson (Lecturer and Writer). Danielle Sheehy (MFA Hdip Ed, Artist and Teacher) "Working with autistic people to make art"
Katerina Karanika (MA, Autism Consultant) "Special Needs and the formation of personal identity"
Megan Goodale (Occupational Therapy Manager, CUH) "Autism Friendly Hospital initiative"
Gill Harold (PhD, Applied Social Studies, UCC) "How disability and difference find spatial signatures"